As an American college student, the most important birthday is your 21st, when you can ditch the sticky frathouse basements for the refined air of city bars. I turned 21 while studying abroad in Sydney, Australia during the second semester of my junior year of college. The drinking age there is 18, so we study abroaders shed our underage cloaks without ceremony, ordering drinks on the trans-Pacific flight with the faux-maturity only a newly minted drinker can muster. By the time my actual birthday rolled around on April 11, 2009, I had been tossing back legal drinks for three months. Still, we temporary Aussies tried to celebrate our twenty-firsts with an American flourish — perhaps out of an unspoken jealousy, brought on by countless Facebook albums featuring our stateside friends flashing IDs at pubs, sipping XL margaritas, and generally wreaking havoc on Boston. 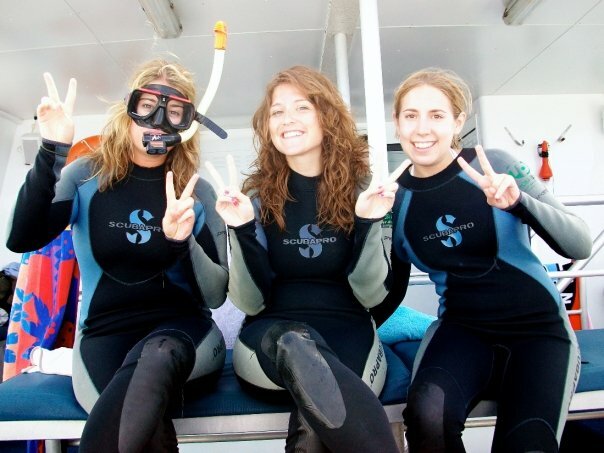 My 21st birthday fell on Easter weekend, a bigger holiday Down Under than here in the U.S. We were granted a four-day reprieve from our internships, and a group of friends and I headed up to Cairns, a base town for exploring the Great Barrier Reef. Though tired from travel, my pals were good sports and took me out for a celebratory drink on the eve of my 21st. We quickly discovered that nearly everything was closed — it was Good Friday. So we ordered shots of limoncello after an Italian dinner, and sipped them quietly, our lips puckered. The next morning, on my actual birthday, our tour boat whisked us across the Pacific on an hour-long sojourn to the Great Barrier Reef. The staff told us to take a ginger tablet if we were prone to seasickness — so I downed one as a precaution. As the scuba diving instructor began to go over safety procedures, I started to feel a little queasy. I turned my gaze dutifully toward the horizon, watching it bob in and out of sight. When I knew the ralphing was imminent, I scurried to the back deck, joining a cluster of 10 other passengers who were all vomiting into airplane-style paper bags. Soon, I was joined by two of my friends, and we whimpered and puked and patted each other’s backs in solidarity for the next 55 minutes. I’m not trying to be dramatic when I tell you that it was one of the worst hours of my life. I must’ve tossed my cookies 25 or 50 times, and most of it tasted like ginger, thanks to that super effective anti-seasickness tablet. To this day, the mere hint of ginger gives me PTSD. When we anchored at the Great Barrier Reef, I had a few residual pukes while my equilibrium steadied. We were on a tight time schedule, and I missed the scuba diving portion whilst vomiting. No matter. I had visions of me puking at 50 feet below sea level and dying, like an astronaut in space who cuts off his own air supply. Though weak and trembling, I managed to don some snorkeling gear and spent the afternoon exploring the reef, which was actually amazing and unlike anything I’d ever seen. My 21st birthday in Australia: all of the puking and none of the fun debauchery the night before. That is memorable and funny. Thanks. Your 21st birthday: the day you forever gave up ginger. You were such a trooper, Jor! A bit like having an unplanned big 30 December 1999, such that you have nothing to drink on the 31st December 1999 – despite being on a boat in the harbour for the momentous occasion!